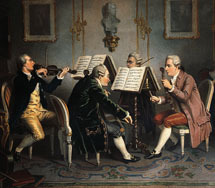 Mechau, Jacob Wilhelm, Young Woman at the Spinet, Accompanied by a Gentleman on Violin. 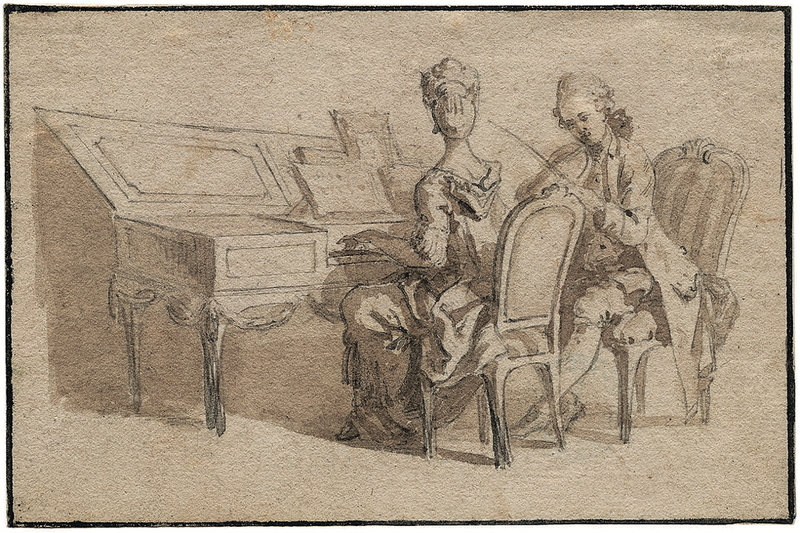 Mechau, Jacob Wilhelm (1745–1808), Young Woman at the Spinet, Accompanied by a Gentleman on Violin (n.d.). Pen in gray and brown wash. Whereabouts unknown (sold Galerie Bassenge, Berlin, 27 November 2009, lot 6245). Laroon, Marcellus the Younger, A Musical Tea Party.